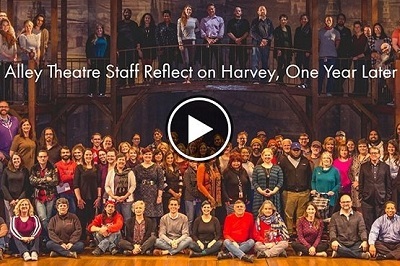 As we pass the one year mark since Hurricane Harvey, we take a look back at the theatre's journey - the storm's impact and the incredible progress we've made. A year later, we are stronger because of the Alley staff, our loyal patrons, surrounding theater communities and the City of Houston. Follow the link to watch our progress.